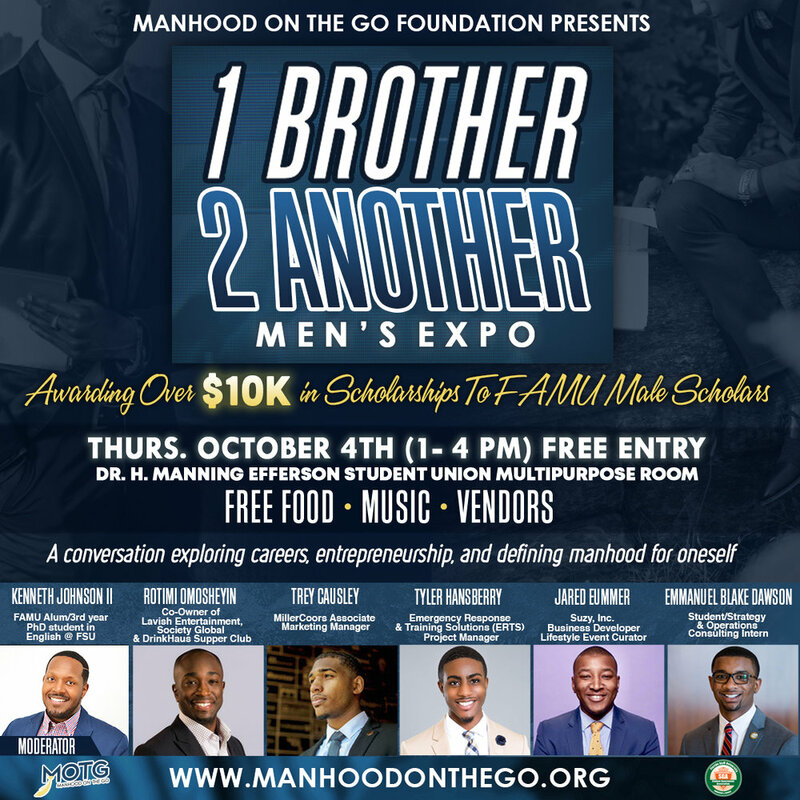 For more information, please visit www.manhoodonthego.org/1brother2another. 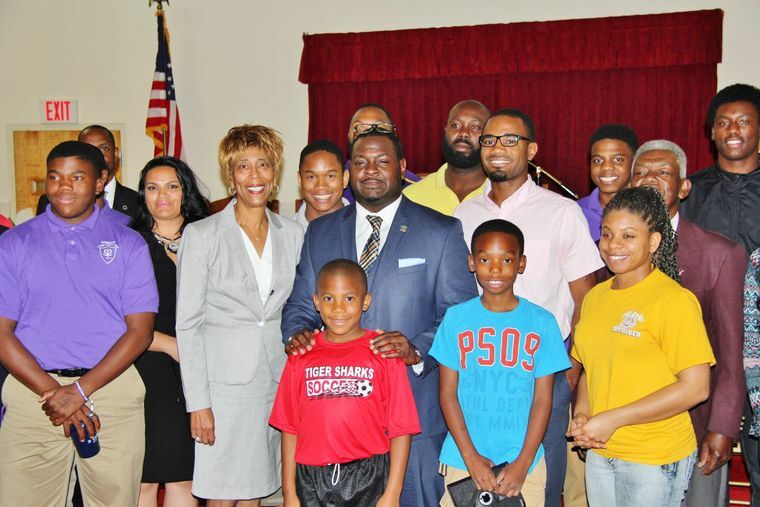 The Hallandale Beach Summer Youth Leadership Academy will develop driven young men (ages 10-18) through academic and career readiness skills, building community connections, giving needed guidance, and providing progressive opportunities they need to become responsible leaders within our community who reach their full potential. Our program is proudly sponsored by the Hallandale Parks and Recreation Department and the O.B. Johnson Park Teen Zone. Join GAIN (Get After It Now) and the Manhood On The Go Foundation are partnering to raise funds to supply book bags to deserving Miami-Dade County Public School students for the 2018-19 academic school year. Get After It Now is a black-owned company that sets out to motivate people to chase after their wishes and desires through small efforts until they’ve reached their goal. We want to fuel children in schools to undertake this “G.A.I.N.” mentality in life in hopes of helping them reach success. Each bookbag will be filled with various essential school-related resources to ensure our scholars have the tools they need to succeed. We are excited to partner with GAIN and even more excited to provide bags to these deserving young people! Manhood On The Go and Memorial Healthcare System partner to provide a 10-week youth male development workshop series for their NEW Day Diversion program. Over the course of ten weeks, the gentleman explored a variety of topics including finding their life's purpose, understanding the importance of personal wealth management and following good mental/physical/sexual practices. A special thanks To Memorial Healthcare System for making it all happen! MOTG Founder/President Iman Sandifer was granted the opportunity to speak to the his high school alma mater's Class of 2020 about growing up in Hallandale, defying the odds, the importance going to college and chasing your dreams in life. A special thanks to Hallandale High School for inviting MOTG and a fellow Charger to speak! Manhood On The Go spent a day at Silver Lakes Middle School in Fort Lauderdale, Florida telling kids about the non-profit sector. Afterwards, we led a goal setting interactive workshop in conjunction with the Adimu male youth program. A special thanks to Mr. Tavurus Williams and the brothers of the Upsilon Psi chapter of Omega Psi Phi Fraternity, Inc. (Florida A&M) for making it all happen! Iman Sandifer was granted the opportunity to speak at the 5th Annual Gilbert Law Firm's College Readiness Night about the importance going to college and chasing your dreams in life. A special thanks to Attorney LaDray Gilbert for inviting MOTG to speak! The Manhood On The Go Foundation hosted a goal-setting workshop with 4th grade male students at Bond Elementary School in Tallahassee, FL. A special thanks to Dr. Lavetta Henderson and Dr. Kristal Clemons for allowing me the opportunity to speak to your SEC mentoring program students! A special thanks to Dr. Lavetta Henderson and Dr. Kristal Clemons for granting us the opportunity to speak to your SEC mentoring program students! Manhood On The Go and Memorial Healthcare System partner to provide a 3-week youth male development workshop series in conjunction with their Heads Up Summer Program. Over the course of three weeks, the gentleman explored a variety of topics including finding their life's purpose, understanding the importance of personal wealth management and following good mental/physical practices. A special thanks to the Head Royce School, Mr. Dexter Moore and Mr. Lamar Hancock for making it all happen! The Manhood On The Go Foundation hosted our 1st EVER youth leadership development workshop with 4th grade male students at Sallye B. Mathis Elementary School in Jacksonville, FL. A special thanks to Principal Kathleen Adkins and Mr. Byron Morrison for believing in our mission and allowing us the opportunity to speak to your 4th grade students!